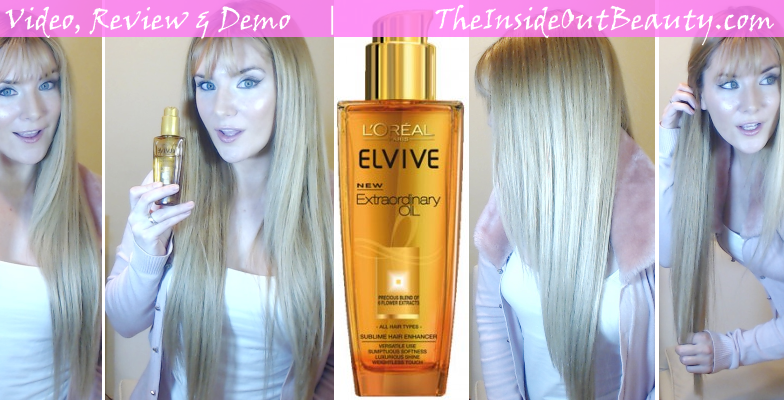 HAIR | L'Oreal Elvive Extraordinary Oil Video Review & Demo* ! Long hair is a lot of hard work. But, on the good side, I get to have a lot of fun trying out every new hair product out there and then telling my friends all about them. With so many hair products on my bathroom shelf, I thought it was about time I started reviewing some of them. Not all of them work as well as one would expect, but every time I get a new hair product I feel like I'm purchasing a new opportunity for healthier, stronger and more beautiful hair. Today, I made a video review of L'Oreal Elvive Extraordinary Oil. I bought it to find out how far away it actually was from what the tv commercial promised. 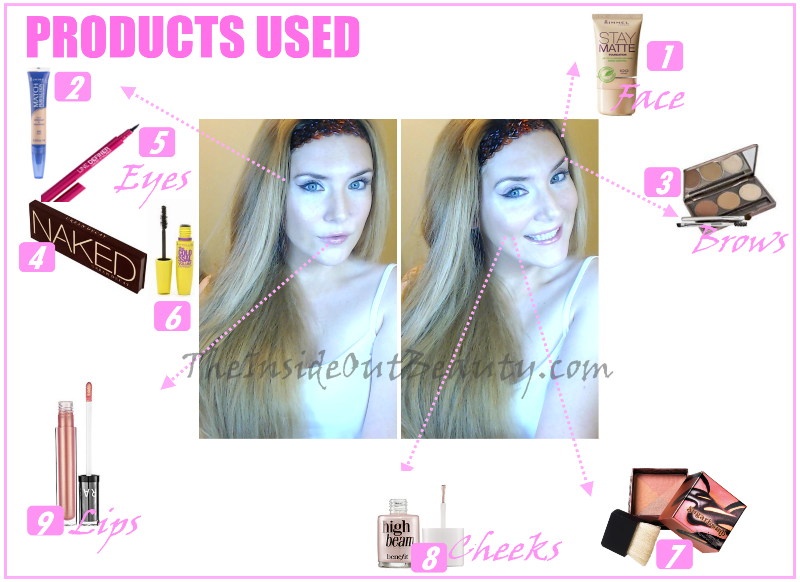 MAKEUP | FACE OF THE DAY ! It seems like some of you truly enjoyed my NATURAL COLLEGE MAKEUP LOOK post, or so I was told on Twitter, so I thought I might start posting FOTDs too :) This is a very easy Makeup Look that you can wear day or night. If this looks like a makeup look you would wear too... keep reading and I'll show you the products I used to achieve it! 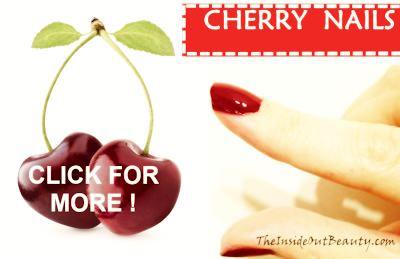 FASHION TREND | HOWTO GET CHERRY NAILS THIS FALL! Long pointy nails ruled in the 80s, long rounded nails were hot in the 90s and this season Short Red Shiny Nails are totally IN. So today I bring you this quick tutorial on How to Get Cherry Nails this fall in 4 super easy steps! Keep reading to learn more about the products I use to achieve this CHERRY RED NAIL LOOK and HOW I use them ! No matter the time of the day, sandwiches are practical, time savers, perfect on the go and you can get as creative as you want with bread types and fillings. Everyone, no matter the age, absolutely loves them. The crucial point is to keep them interesting at all times. So, in the last 2 weeks or so, I've been having sandwiches quite frequently, and I thought it would be nice to share with you my 3 favorite sandwiches. If you're looking for some food inspiration, all you need to do is keep reading to checkout some cool combinations and pictures of my favorite sandwiches! This is a great breakfast alternative in my opinion. It's also easy and quick to prepare, which is great for morning time! I basically made an egg on a frying pan, but I did not fry the egg, just added a little olive oil spray so that it wouldn't stick to the pan. Then toasted my favorite bread. I'm obsessed with this sandwich bread. 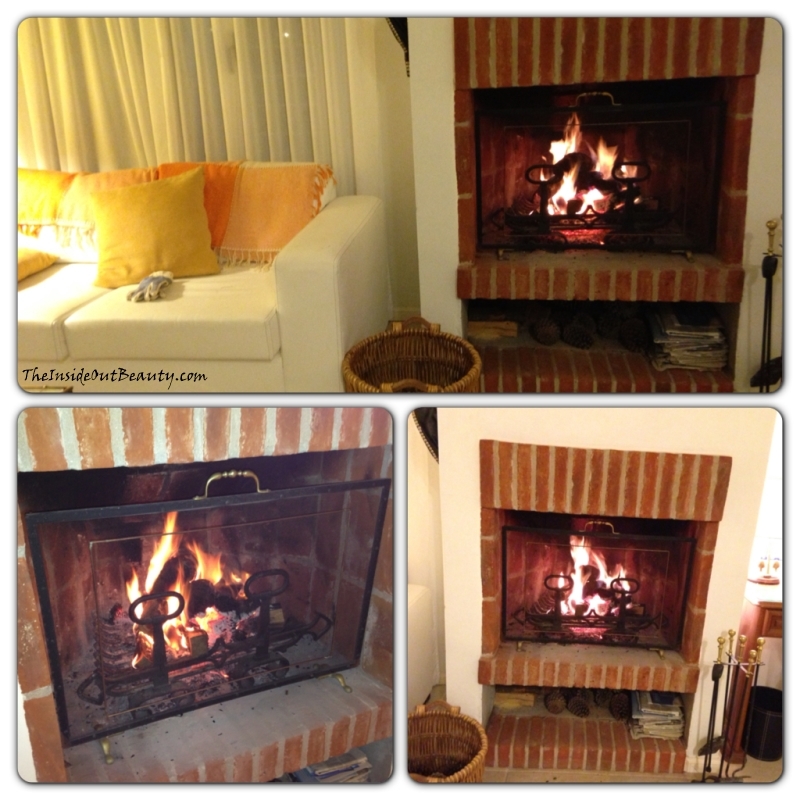 Holiday Part 03: A SPRING DAY IN THE MIDDLE OF WINTER! The most amazing thing happened on the third day of my mini vacation. We went out for a walk with our sweaters and jackets on [ of course, remember day 2? ] ... and we suddenly started to sweat!!! WHAT?! 20 degrees Celsius ( 68 F) in the middle of winter???!!! But no! I won't do it! This time I won't complain about the strange climate changes. Instead, I'm going to tell you all about the MIRACLE of being blinded by a big warm sun in the middle of winter! Holiday Part 02: Dune Driving Adventure! Oh well... I can take it with coffee and croissants in my tummy :) Here's the selfie at the coffee shop... Don't let the Canadian beanie confuse you, it's just a present I got from my parent's last trip to Vancouver, and it was freezing that morning. Around midday, we went for a walk in the woods. I always try to walk long distances when I'm surrounded by nature. It's my favorite kind of effortless exercise. I tend to be so distracted by everything around me (birds, trees, etc) that I forget I'm even exercising at all! Holiday Part 01: Fondue Night! Sometimes you just need to get away from the big city... Ever had that feeling yourselves? Don't get me wrong, I love the city, but sometimes it can get you off your balance. Monday's a public holiday in my country, so this weekend my hubby and I decided to jump into the car and escape the city chaos for a few days. We met with family at a beach / forest house where we're having some R & R time. So I wanted to share with you our first night here! 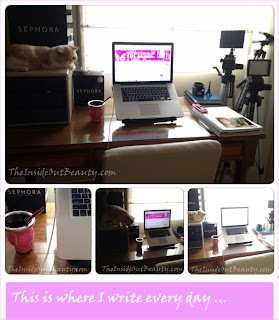 Today, I'm writing to The Beautiful You! Not to the You that's specialized in finding all your little flaws... No. I won't be talking to the You who stares at the mirror with a critical eye in the morning. Yes, you heard me well! I refuse to address your own worst inner enemy today. Some beauty bloggers love coffee shops. Others, though few, blog on the go from their mobile devices. Many teenage beauty gurus make blogging sanctuaries out of their beautiful bedrooms. Some Big beauty bloggers have amazing studios with Broadway vanities and breath-taking dressing rooms. I, too, have my own special space, from where I craft this little blog with tons of love. A small room, that my husband and I put together, with hard work. Want to take a quick peek? 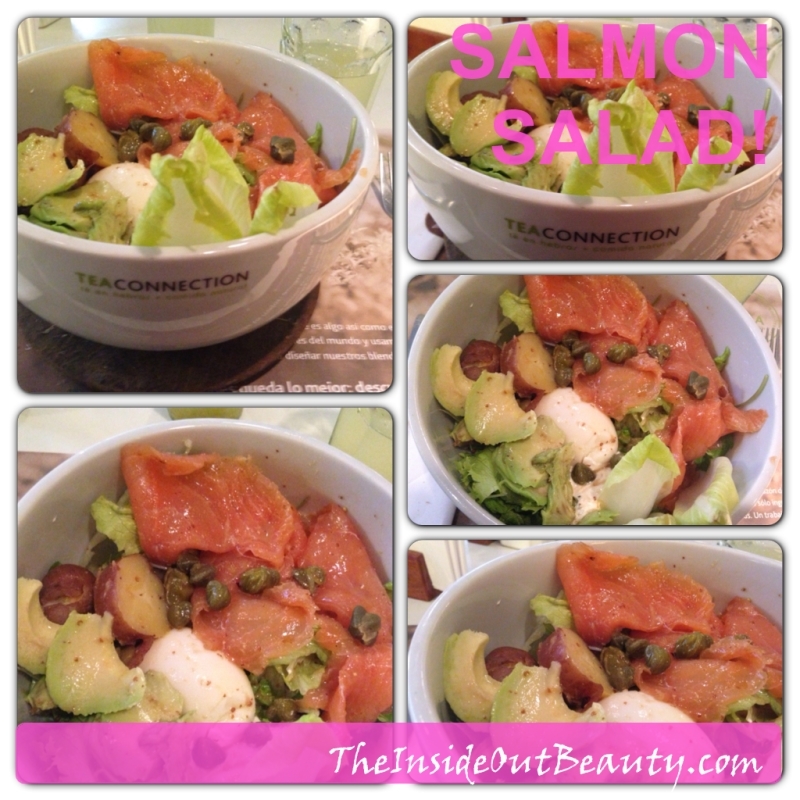 FOOD | What I Ate this Week! Great food can make us happy and beautiful inside-out. Sometimes, just by looking at it ! Well I did a lot more eating that looking this week. So welcome to Food Friday one more time, where I share with you my favorite foods of the week!!! I originally started doing WIAW (What I ate Wednesday) posts, but I soon realized, that can get a little repetitive or boring. So I thought, why not spice it up, just a little bit, and do a selection of the best or most beautiful dishes I eat in a week. Yep, I do realize Breakfast comes before lunch... But to be honest, I was too sleepy most mornings this week to take pictures. Ooops! Sorry :-/ Maybe next Friday! FASHION | We've been Spiked Up !!! Spikes, spikes, spikes... and studs! Metal hardware is all over the runways, magazines, fashion and beauty blogs and, hence, all over the fashion stores online and offline, typically in the form of studs, spikes, and grommets. I must admit my first reaction was FEAR.. Come on! Look at those sharp pointed spikes and dare to blame ME for feeling that way! Yes, my first question was "Is this trend even safe" ? I know, I sounded like an old lady right there... what can I do? I'm just trying to be honest! Second reaction was "Heavy Metal, Hard Rock ! ... Yum! I wish there was a Hard Rock Cafe nearby..." LOL There wasn't one, by the way :( Again, 100% brutal honesty! This trend sure spread like a disease and it's obvious why it's calling everyone's attention, as it sets itself apart from any other trend I've seen in a while... and after looking at a ZILLION items... I'm slowly starting to see something fun, edgy and different on this trend :) See ? Persistence is always key! So, this brings me to today's post. I went window shopping the other day, to show you that on this side of the world we've ALSO been Spiked Up! In fact, we're SO SPIKED UP guys... that the TRUE challenge is trying to find something that DOESN'T have spikes OR STUDS. I promise I'm not exaggerating ! "80% of American women, are dissatisfied with their appearance", says Michelle Branch, "and that's just an example of a global gender issue". 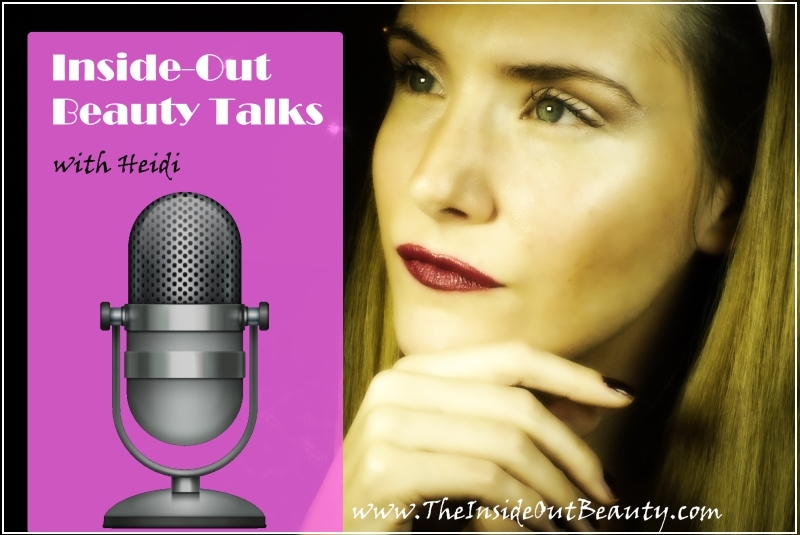 On this Inside-Out Beauty Talk we're going to discuss what got us there, and, most importantly, what will get us OUT! Happy Monday my Inside-Out Beauties! 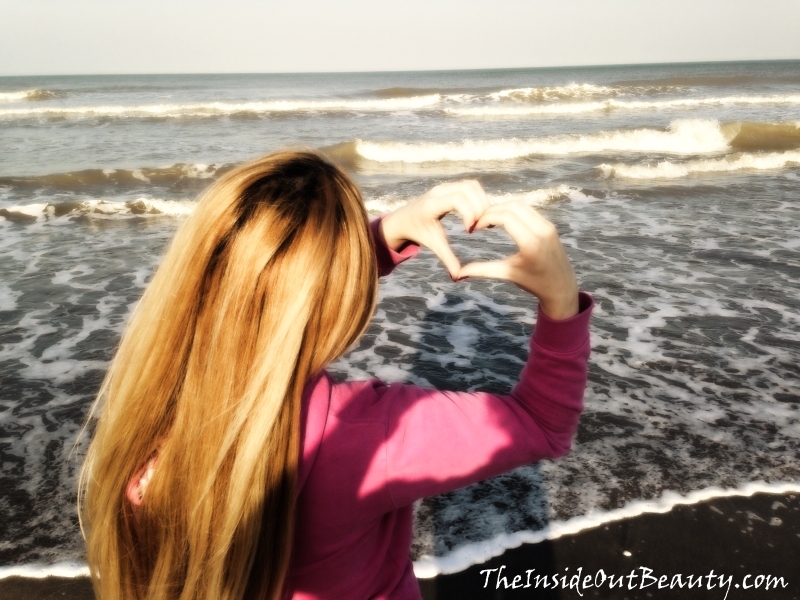 I've had the most amazing weekend getting things ready for today: InsideOut Beauty Talks Blog Radio Show Opening Day! I hope you're just as excited as I am! The idea behind this new project is to share with you a series of Inside & Out Beauty Topics. And for a very special first show, an even more special guest joining me: Michelle Branch from LetHerBeGreater.com . Michelle is a former Emmy nominated television newscaster and Award-Winning Author and Champion to Awaken Women WorldWide to Their Authentic Beauty and Inner Treasure. So you can all imagine the absolute honor it is for me, that she accepted this interview for my blog and first online radio show. Together we discussed Inner Beauty, Positive Thinking and Positive Body Image Tips, and I have no doubt that you will find in Michelle a very inspiring woman with so much to give and share. For those of you who are unable to listen to the radio show right now, but are curious to learn more asap, I am including some interview highlights on this post too. BEAUTY | 5 DOVE BEAUTY PRODUCTS I KEEP BUYING ! Before I ever gave Dove products a chance, I was in love with the message this brand delivered to women. I think it's safe to say, Dove was the first beauty brand to ever start a crusade for women's positive body image with their REAL BEAUTY campaigns. Or at least, it's the first one I can remember. This is why, Dove is an Inside-Out Beauty Brand [ for me ] whose message I value and can totally relate to. As if that were not enough, many of you know it is the drugstore hair care brand that I'm loving the most and that I've been trusting my high maintenance and very long hair with, lately. [ I know! I'm still in shock that a drugstore hair care brand would perform this well ]. Do you want to know which are the 5 Dove products [ for hands, body & hair ] that I keep buying over and over...? BLOGGING TIPS | BYE BYE GFC :( HELLO E-MAIL SUBSCRIPTIONS! 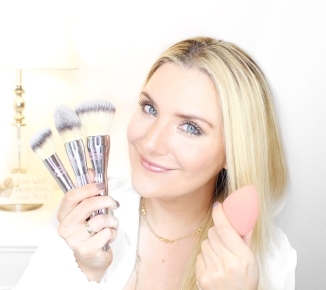 I have spent so much time connecting with other beauty bloggers and readers with GFC... so it is very sad to see it go... I'm aware this may be old news for most of you, specially beauty bloggers. But I still get new followers via GFC every day, so I'm guessing some may still not be aware of this. For this reason, today I finally removed my Google Friend Connect widget, and I sadly thought of each of these +290 followers that I had connected with there. Clearly, Google is putting all its focus in Google Plus right now and you have the option of following me there too, if you want. Another way of following my beauty blog is via Bloglovin , as you may have noticed, I included that widget not so long ago.